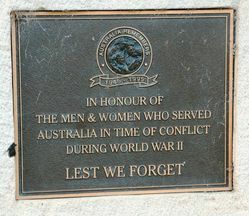 The Royal Australian Air Force Monument commemorates the men and women who served Australia during World War Two. 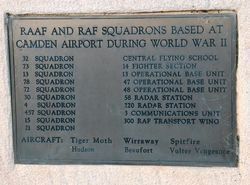 The monument was erected as an Australia Remembers project and honours the serving personnel who were stationed and passed through Camden airport during World War Two. 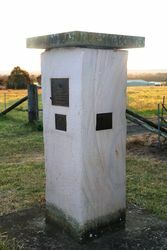 This Monument Was Unveiled On The 19th August 1995 By Air Commodore G.I. 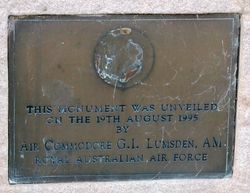 Lumsden, AM Royal Australian Air Force. 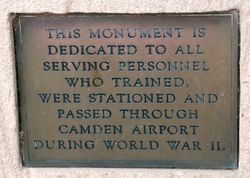 This Monument Is Dedicated To All Serving Personnel Who Trained, Were Stationed And Passed Through Camden Airport During World War II.